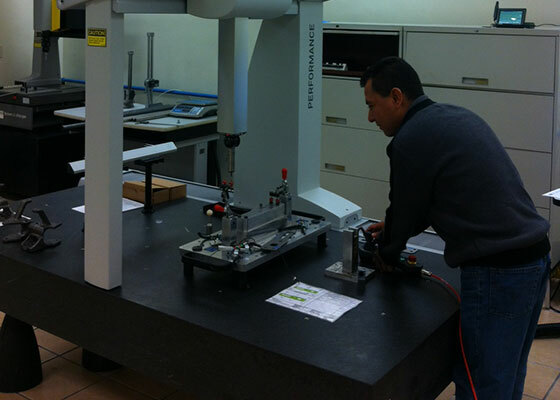 The extensive equipment and instrumentation in our quality assurance labs includes a Zeiss Contura Coordinate Measuring Machine with VAST scanning technology for precise form analysis, FabriVISION, two Brown & Sharpe 9159 CMM machines that utilize PC-DMIS software, numerous optical comparators, and various specific gauges. Our quality team is instrumental in the completion of FMEA and PPAP documents, capability studies, Gage Repeatability and Reproducibility (Gage R&R), flow charts, statistical analysis, and other documentation. Waukesha Metal Products has undergone rigorous certification processes with the NSF-ISR for metal stampings and assembly operations as well as production tooling, prototypes and weldments. These certifications enable us to operate to the highest standard of quality with virtually any product in any industry. We’re especially proud of our ISO/IATF 16949 Certification for the automotive industry, and we also hold the AS9100 Certification for the aerospace industry.